Our most comfortable shoes for the entire family. Find all Crocs classically comfortable styles of clogs, sandals, and more. Find the most comfortable shoes for men, women, and even the little kiddos when you shop Crocs™ Comfort collection. It includes a variety of Crocs most classically comfortable styles, such as clogs, sandals and more in all your favorite colors. Whether you're running errands, hanging around the house, or out on the town with family and friends, everyone deserves the support and all-day comfort that Crocs provides. That's why we have created this collection, so you can find all our comfiest shoes in one place. 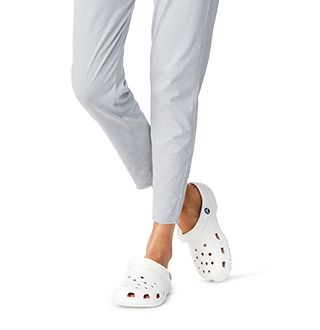 At Crocs we have three levels of Crocs™ comfort; Iconic, Dual, and Triple. 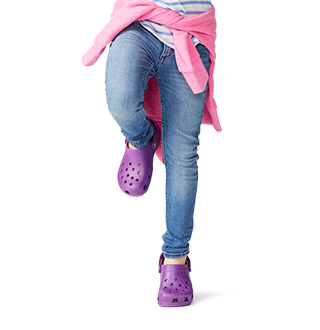 Our Iconic Crocs™ comfort is our orginal level of comfort and includes one-piece of Croslite™ foam cushion, keeping you light on your feet while delivering Crocs' one-of-a-kind feeling. Our Dual Crocs™ comfort includes a separate foam footbed for extra-cushioning power, with a Croslite™ foam outside, keeping your Crocs lightweight with lasting support. And our Triple Crocs™ comfort is our softest fit that includes a pillowed footbed, a foam footbed for extra cushioning power, and a Croslite™ foam outsole to keep it light and adding lasting support. 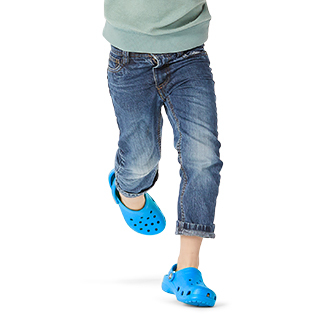 Find your new favorite level of Crocs™ comfort and collection of comfort shoes for the whole family today at Crocs. 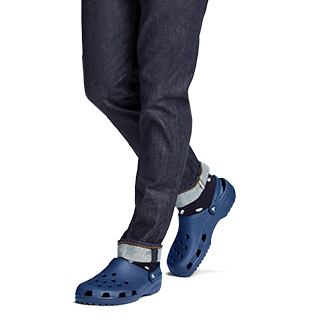 Looking for more styles of Crocs shoes for the family? Be sure to check out our complete collection of men's shoes, women's shoes, and kids' shoes at Crocs, and find the perfect pair of shoes for the entire family, no matter the occasion!